A conservative scholar behind a high-grossing film condemning President Barack Obama was ordered Tuesday to spend eight months in community confinement and undergo therapeutic counseling for arranging straw donors for a Senate candidate. 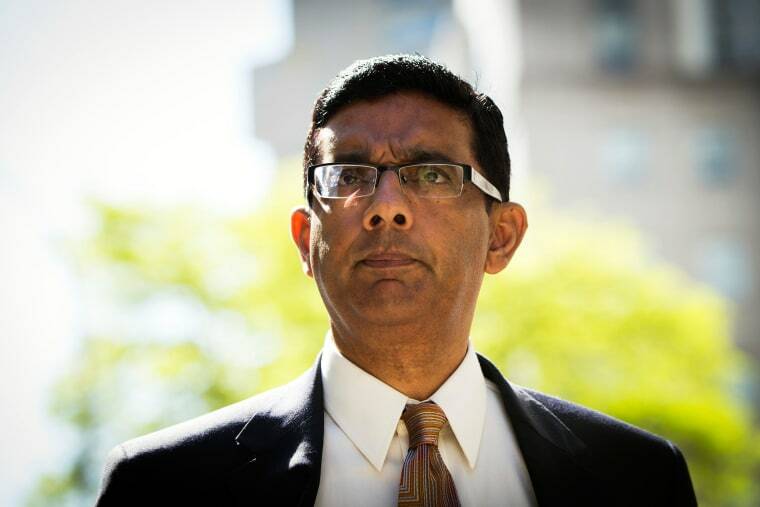 Dinesh D'Souza was spared from prison even though U.S. District Judge Richard M. Berman said the defendant continues to deflect responsibility and minimize his crime. Berman repeatedly criticized D'Souza, a one-time policy analyst under President Ronald Reagan who wrote a bestselling book and earns hundreds of thousands of dollars annually in speaking engagements. "I think I have figured out a little bit more about Mr. D'Souza," Berman said. "He's a talker. In fact, he's almost a compulsive talker. I don't think he's a listener." The judge also fined the 53-year-old San Diego resident $30,000 and ordered him to teach English to non-English speaking people eight hours a week during probation. The court-ordered counseling is to last for five years. Federal sentencing guidelines called for D'Souza to serve a year in prison after he pleaded guilty in May, admitting he arranged for straw donors to contribute $20,000 to New York Republican Wendy Long's failed U.S. Senate bid. The prolific author who made the 2012 documentary "2016: Obama's America" said he was motivated by his longtime friendship with Long.